Hol-ee mackerel! Is Oliver having fun or what? He's got a new ball from JW Pet called a Hol-ee Roller. We're reviewing it tomorrow, so don't miss Oliver's chance to share his opinion. Today's slideshow is simply a commercial to show you how much fun Oliver is having. Check out our review tomorrow to learn more about this great ball. 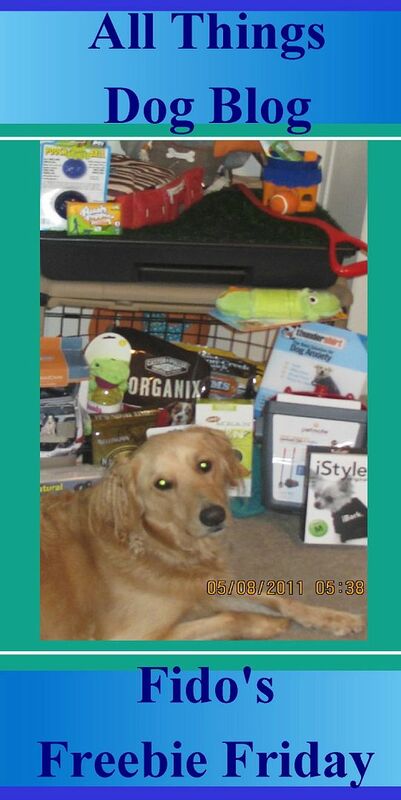 Leave a comment below at the COMMENTS link and be sure to tell us about your little dog's toy challenges. Send us a picture of your little dog to share on the blog or our Facebook page. Send it to LetsAdoptaDogPark@gmail.com and don't forget to give us his name. We take comments via Tweet. Send them as an @Tweet to @AllThingsDog so we'll be sure to collect them for the drawing. You can keep up with all of our goings on at our Facebook page. Stop by and hit the "Like" button to get our news as it happens. And don't forget to visit tomorrow for the review to find out all the cool features of this amazing little ball. Happy tails! Yes, Michelle. You can place a toy inside through the holes. This is what was so great for Oliver, besides the light weight and the holes make it easier to pickup. Pallo loves toys, and is only toy challenged because he manages to lose a lot of his toys when we travel, or they end up as a tug toy and get shredded. We've never owned one of these toys, but did play with one at a friend's house, and he loved it. New follower from Fridays blog hop. Hi there! Happy Friday blog hop! I am your newest follower, hope you could visit and follow my blog as well, tnx! I also like http://www.moderndogmagazine.com for some great articles and giveaways. Sarah DEFINITELY needs this toy!! I can't get her to play with anything other than to chew on select items. Maybe a yummy snack would entice her too! My other Poms (except for one) went crazy for toys! what a interesting toy for my dog Rocky to play with. he plays with unusual things like plastic soda bottles.